Belize NMS: A cold front affecting the country will support windy and cool conditions the next couple of days. 24-hour forecast: Variably cloudy, windy and cool with a few showers or periods of light rain mostly over the sea and along some coastal areas. General Outlook: For Sunday and Sunday night is for mainly fair, windy and cool conditions with little or no rainfall. Today N-NW 15-25 kts Rough 5-7 ft A FEW SHOWERS OR PERIODS OF LIGHT RAIN. Tonight N-NW 15-25 kts Rough 6-8 ft A FEW SHOWERS OR PERIODS OF LIGHT RAIN. Tomorrow N-NW 12-25 kts Rough 6-8 ft MAINLY FAIR, WINDY AND COOL. Outlook N-NW 10-20 kts Rough 5-7 ft MAINLY FAIR, COOL AND DRY. 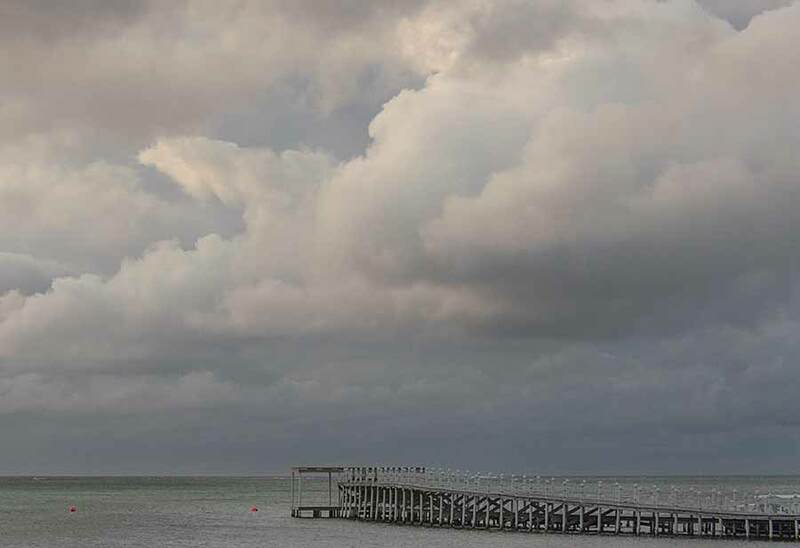 On Ambergris Caye this morning the wind is N-NW at 25 mph. The sea is choppy and deceptive because of the direction the wind the Barrier Reef is in the lee but falls out of the lee quickly on the East side. The afternoon looks better for watersports. Our expected high is 77 f.
The cold front from the US, helped by high level winds over north Mexico, swept over Belize last night, with a significant line of rain, which is now out in the Caribbean sea. 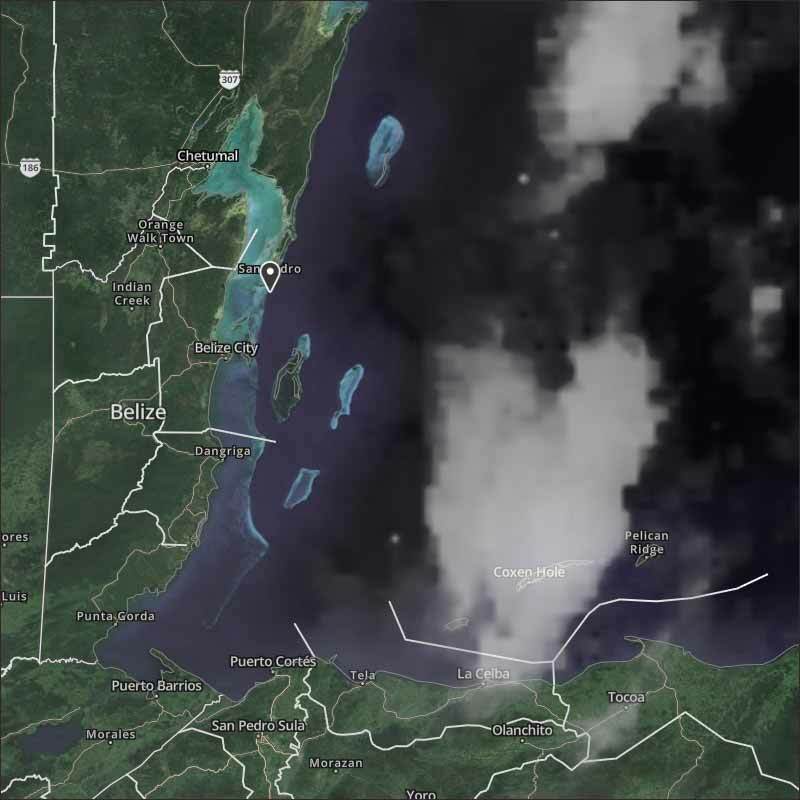 There are a few small patches of rain behind it in a few parts of Belize, and the surface wind is from the west, with the clouds from the NW. Looks like today will be cloudy for most of the day, a little bit of sun perhaps and a small risk of some rain.